Australasian Mining Services (Pty) Ltd is the official exclusive distributor for Van Ruth Products in Australia. VAN RUTH® CEMENTING AND WEDGING PLUGS (CW PLUG) are highly effective as bridge plugs for spot cementing sections of holes and are also used for wedging in off bottom situations for branch hole operations. The VAN RUTH® CEMENTING AND WEDGING BOTTOM PACKER (CWBP) is used for bridging a drill hole, spot cementing or wedging operations similar to the CW PLUG yet where the drill hole is making water and two way seal is required. For dry holes where only a single acting seal is required, please see the CW PLUG. 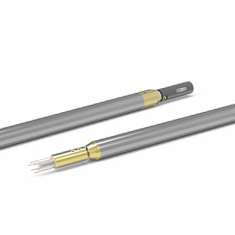 The VAN RUTH® SUB SET CEMENTING AND WEDGING BOTTOM PACKER (CWBP SS) are designed for use in the same situations as the CWBP but where the packer cannot be pumped down the rod string, for example where non wire line, mismatching rod and hole sizes or internally upset rods are being used. The VAN RUTH® CEMENTING AND WEDGING TOP PACKER (CWTP) may be used by it's self to pressure grout through the packer, unstable ground formations, fault zones and used for permeability testing. The VAN RUTH® SUB SET GROUT PACKER (SSGP) has many applications for both surface and underground use. 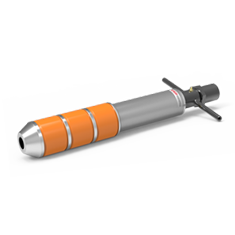 Designed for pressure grouting drill holes at any angle including overhead the SSGP is also used together with CWBP to pressure grout specific fault zones, fortify unstable formations and to facilitate permeability testing. The SSGP has also been useful in drill string withdrawal. The VAN RUTH® GROUTING AND WATER CONTROL PACKER (GWC) is designed for use mainly in underground drill holes yet it may also be used at the surface. The GWC is designed for grouting or controlled dewatering. The packer can be locked in the drill hole by hand or by utilizing the water pressure in the drill hole. 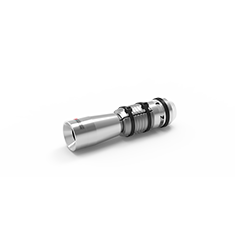 Large GWC sizes can also be used as stem pipes or drill collars for drilling smaller size holes, for example the 76GWC packer can be used as a collar pipe for drilling 46mm holes. 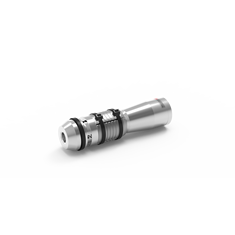 The VAN RUTH® HOLD DOWN PLUG (HD) is used where higher pressures are expected in the drill hole below a CWBP or CWTP location or where up hole suction or slippage is of concern. 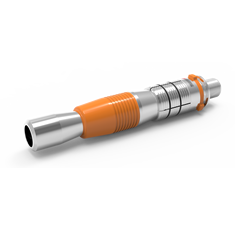 The VAN RUTH® ANCHOR PLUG (AP) is designed to enable grouting of overhead drill holes by anchoring a PVC hose up hole to evacuate air from blind holes in impervious formations. The ANCHOR PLUG fitted with a stainless eye which is used to facilitate up hole hoisting of equipment. The ANCHOR PLUG is placed by pumping up through the drill string and locks in the drill hole upon leaving the rods. 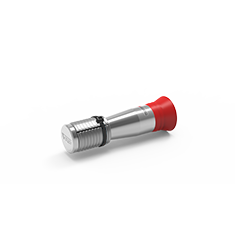 The VAN RUTH® HOLD UP PLUG (HUP) has applications for both surface and underground use and is designed to increase safety in the case of high flow water or tooling exiting the drill rod. 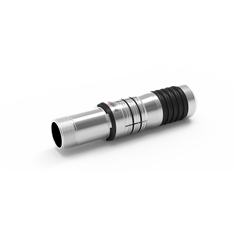 The plug is particularly effective as a safety feature when working on an up hole in an underground environment. Having the HUP in the drill string allows an operator to mitigate the risk of tooling falling through the drill string while pulling rods when there is a problem in the hole, such as a stuck inner tube. The VAN RUTH® MECHANICAL HAND SET PACKER (HSP) is a re-usable mechanical type packer used for grouting and permeability testing. The packer is set and held in the drill hole by the force of the packing segment against the drill hole wall. 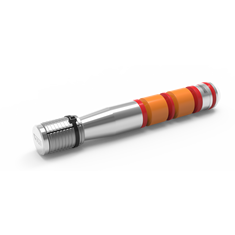 The HSP is inserted directly into the drill hole near the surface, the setting depth is approximately 1 metre. 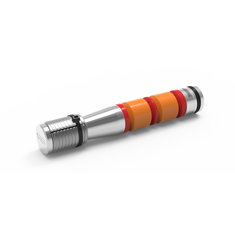 VRP WIRELINE CORE ORIENTATOR is an easy to use core orientation tool for use with wire line core drilling systems. VAN RUTH® FLOAT SHOES (FLOSHO) and FLOAT COLLARS (FLOCOL) act on the same principle as our BNP but with a non return valve and a heavier duty locking sleeves used for cementing in a casing string or to "float" down a long casing string. 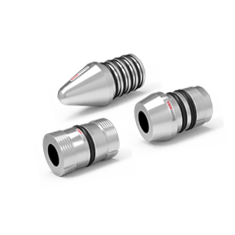 The VAN RUTH® BULL NOSE PLUG (BNP) is used for bypassing wedges, caves or loose casing in drill holes while running in rods. 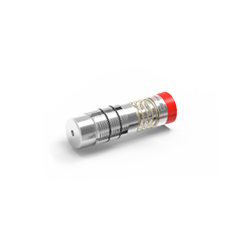 It is secured in the rod by a simple rolling O-ring locking mechanism. The BNP may also be used as a float shoe for longer casing or rod strings.